QOTW: Which doomed tech products were actually good? The tech industry is defined by high-profile success stories. Everyone knows someone that uses an iPhone, a Windows PC or Facebook, but for all those products and services that struck gold, there are plenty that have gone out with a whimper. Many of those deserved to die the slow death - just thinking about the dreadful Nokia N-Gage sends a shiver down the spine - but on the flip side, there are numerous failed products that actually held promise. I was a big fan of my MiniDiscs back in the day, and more recently I was disappointed to see Windows Phone go the way of the Dodo. Heck, you might even go as far as to say that some ill-fated products were really rather good but fell foul of poor execution or too fierce a marketplace. In a way, it's fascinating to think about all the wonderful products that might have been, so for this week's question let us ask: which doomed tech products were actually good? Whether it's hardware or software, let us know which products you reckon deserved better using the comments facility below. IMO Logitech NuLOOQ navigator…. it was here well before MS released their puck and worked really well in Photoshop etc until Logitech annoyingly dropped support, their ‘replacement’ which was a 3Dconnexion device just isn't the same. 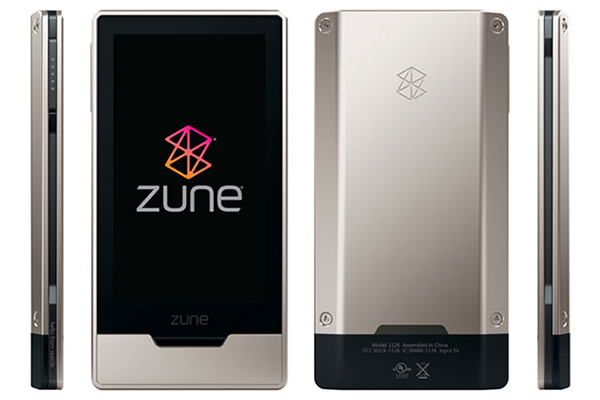 I always wanted a Zune but they never made it to the UK.